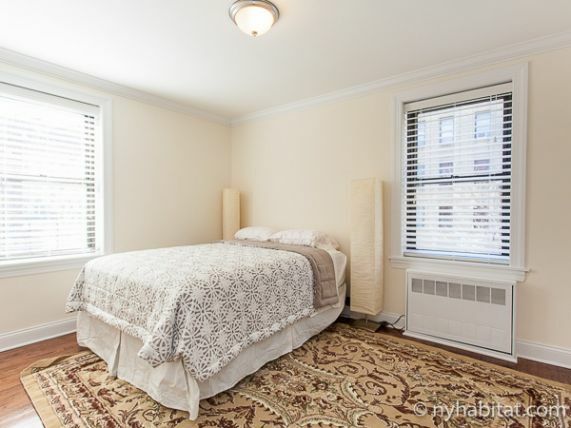 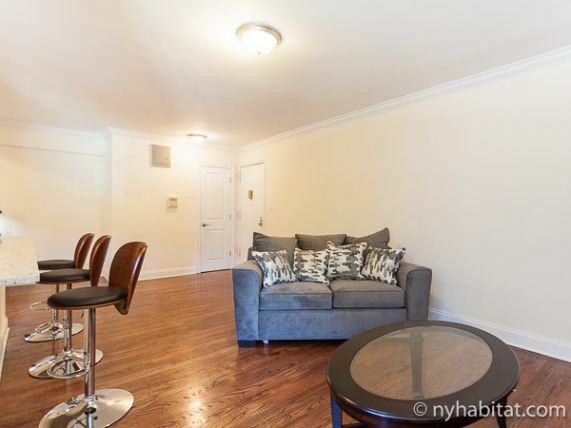 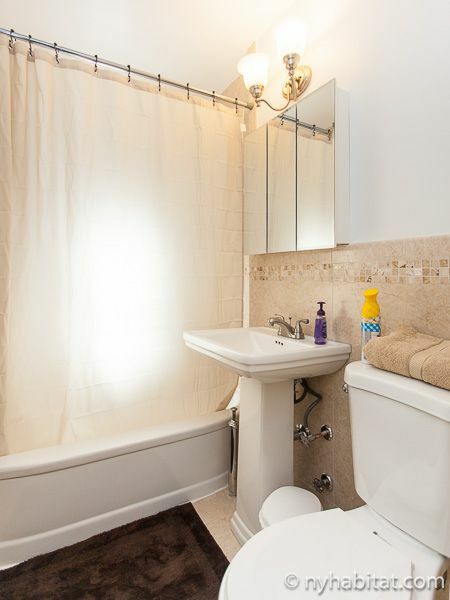 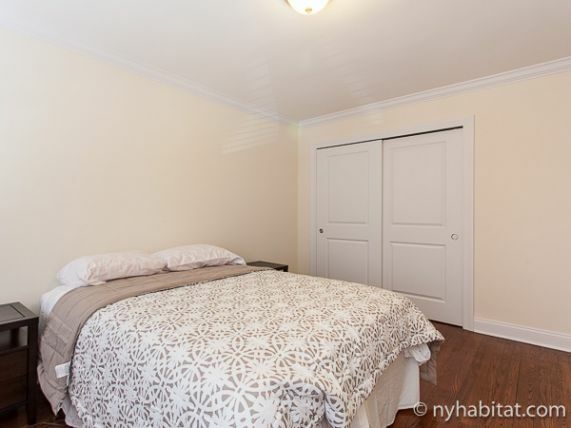 Welcome to Inwood, a neighborhood on the northernmost tip of Manhattan from this fully furnished two bedroom apartment rental located on Bennett Avenue and West 192nd Street. 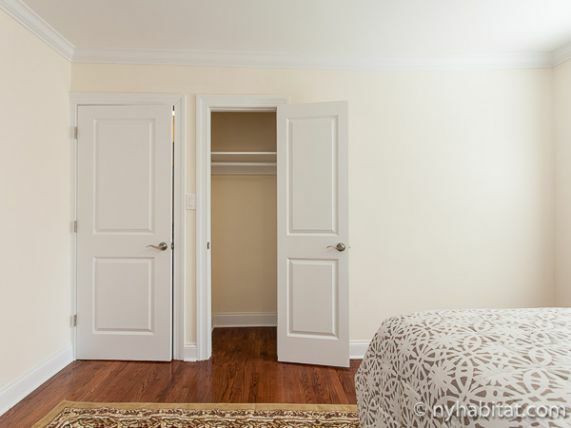 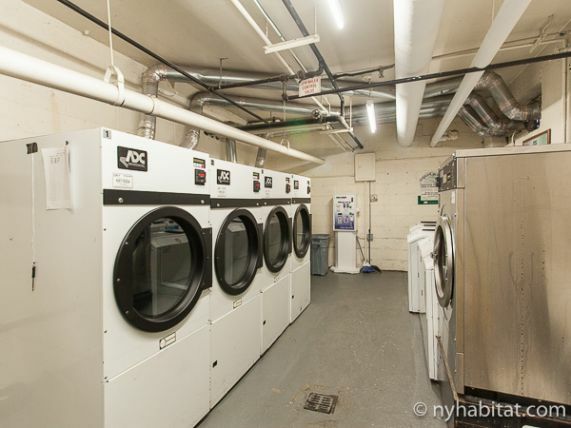 This bright apartment rental is located on the second floor (first floor for Europeans) of a 19th century elevator building with a security system and laundry in the basement! 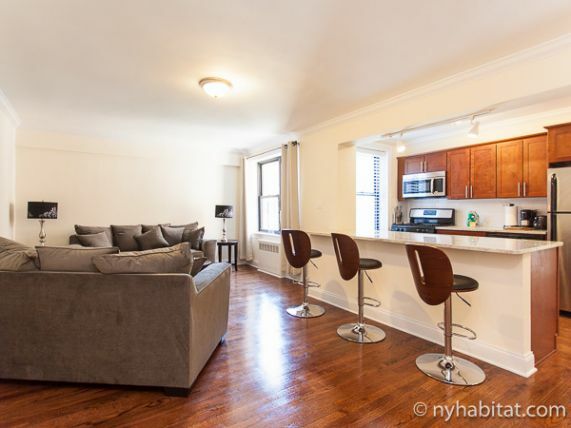 The interior of this apartment is bright with natural light, with sleek hardwood floors and modern furnishings. 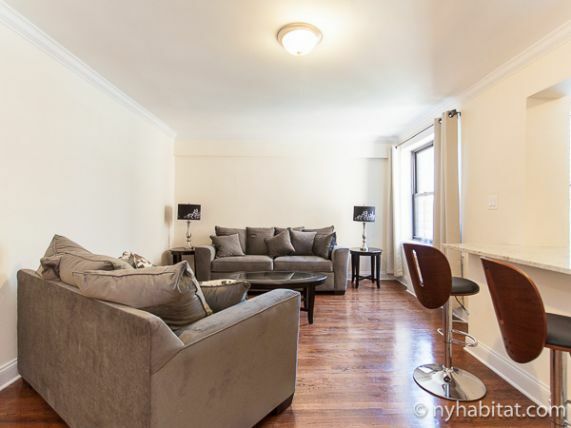 The living room is furnished with two sofas, a coffee table, and air conditioning. 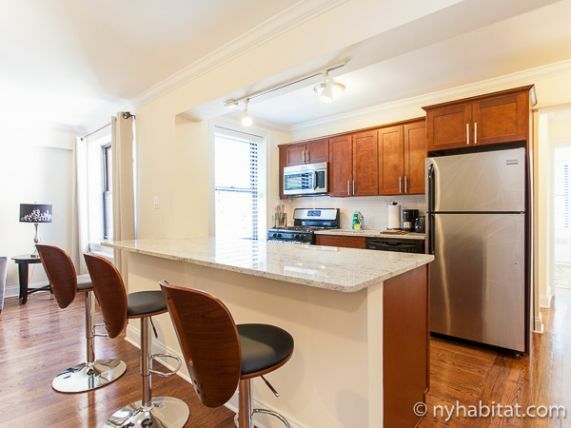 There is a bar area with bar seating that leads into your fully modern kitchen! 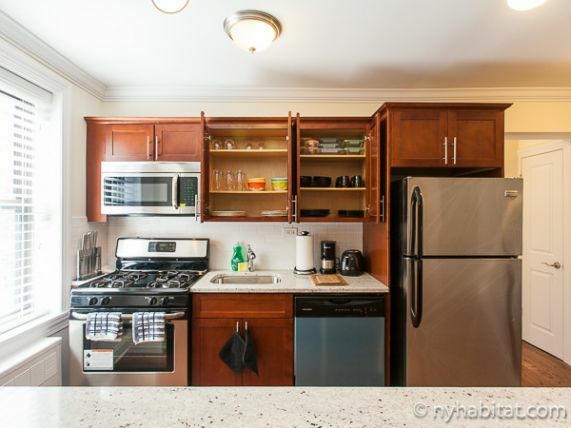 The kitchen has a fridge, freezer, microwave, coffeemaker, toaster, and dishwasher. 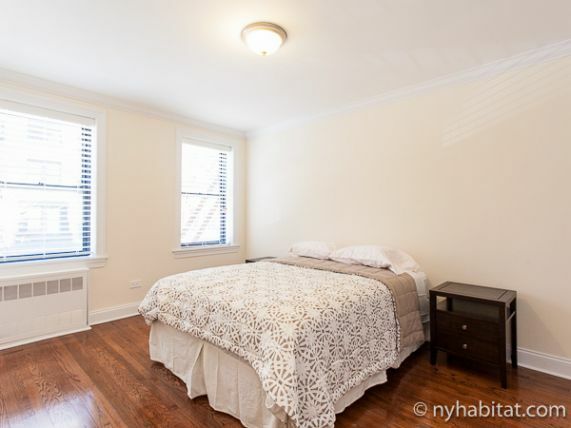 Bedrooms 1 and 2 both have mahogany hardwood floors, large windows, air conditioning, closet space, and a Queen-sized bed.